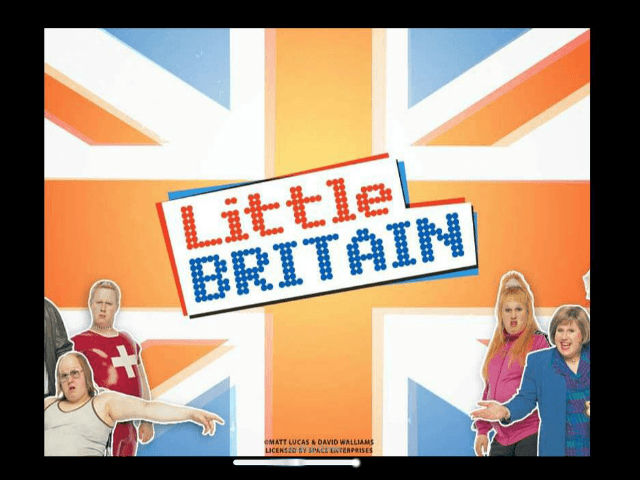 Ash Gaming has clearly pulled out all the stops to ensure the Little Britain slot machine remains faithful to the hugely popular comedy series created by Matt Lucas and David Walliams. Certainly, the instantly recognisable characters on the reels and the striking Union Jack backdrop hit you like a well-aimed one-liner. The cheeky animated intro is definitely the standout feature though, with its booming narration by Doctor Who himself, the legendary Tom Baker. Land the Free Spins symbol on reels two, three and four and you’ll receive ten free spins. Stacked characters become active during this feature so you can expect an extra reward if one of them covers the entire reel. You’re also privy to any prizes it creates as part of a winning combo. Psychiatric patient Anne has her own bonus which pops up, as you might expect, somewhat randomly. This entails her shuffling onto the screen and throwing wilds at a selection of symbols relevant to the previous spin. Dafydd’s Big Gay Bonus – The ‘only gay in the village’ needs your help choosing an outfit. Create one he likes and you’ll be rewarded with cash. You've got three chances to get it right. Emily Howard’s Lady Things Bonus – Lovely ‘lady’ Emily needs you to choose boxes from her dressing room. Cash prizes, multipliers and additional picks are up for grabs. 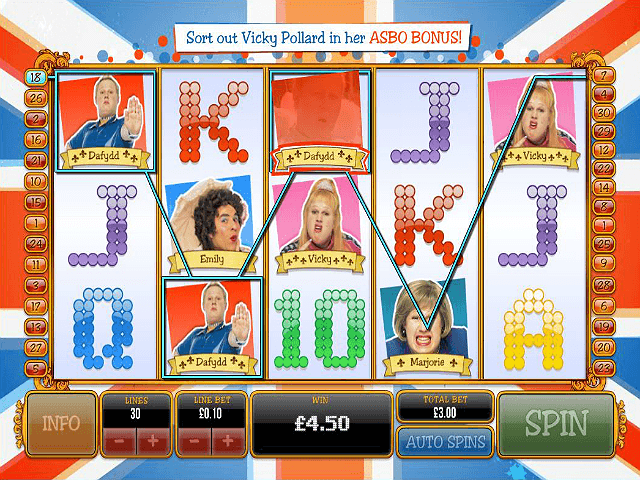 Vicky Pollard ASBO Bonus – All you have to do to win here is choose an activity for the potty-mouthed chavette to do. The temperamental teenager will then decide (“no but, yeah but...”) if she wants to try another activity or give up. Marjorie Dawes Fat Fighters Bonus – Picking food off silver trays is the aim of this game. The more food you choose, the more prizes you’ll win. Take note – fatty foods fill up the calorie meter quicker. The round ends when the meter's full. Lou and Andy’s Love It Bonus – This involves selecting objects for Lou to hand to Andy. If Andy likes what he gets, the prize multiplier increases. The round is over when he says “Don’t like it” three times. 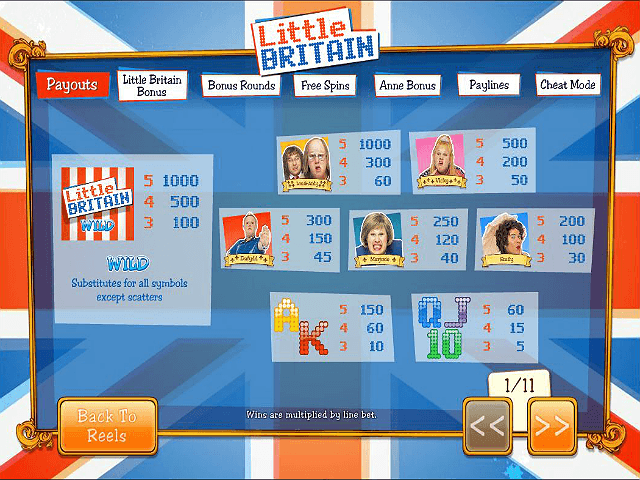 Fans of the show will no doubt love the Little Britain online slot game. But with so many bonus features on hand from 30p to £300 per spin, this fun and engaging title is likely to appeal to non-fans just as much. 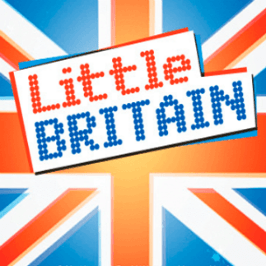 And if you're a fan of other British television shows, make sure to check out the Britain's Got Talent and Monty Phyton slot games too! 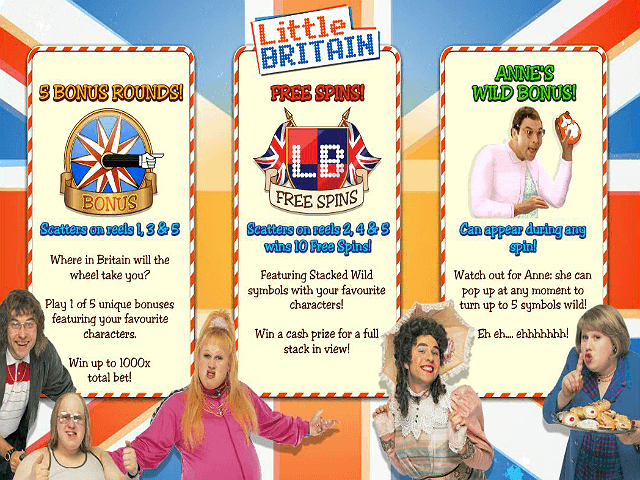 If you like Little Britain - You'll like these slots too!